Well, the long wait is over and the Tour de Fleece is here! 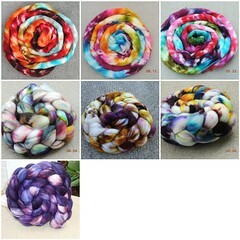 Here are a few of my planned spins -- Nest Fiber Studio and Pigeonroof Studios. They look so gorgeous together!